American Lion. Panthera leo atrox. Art print. Printed on premium glossy super-B photo paper. 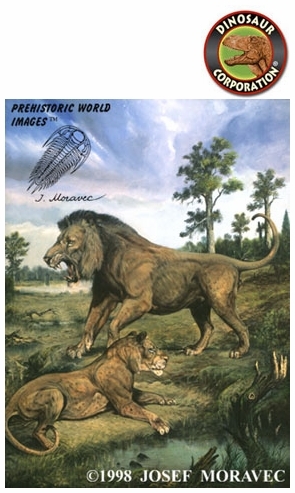 Panthera leo atrox from Pleistocene epoch by J.Moravec. Time-10,000 - 40,000 years ago. WEIGHT: male about 235 kg, females about 175 kg.